A celebrity-backed maternity label gushed over the Duchess of Sussex after the royal stepped out in one of its designs yesterday. 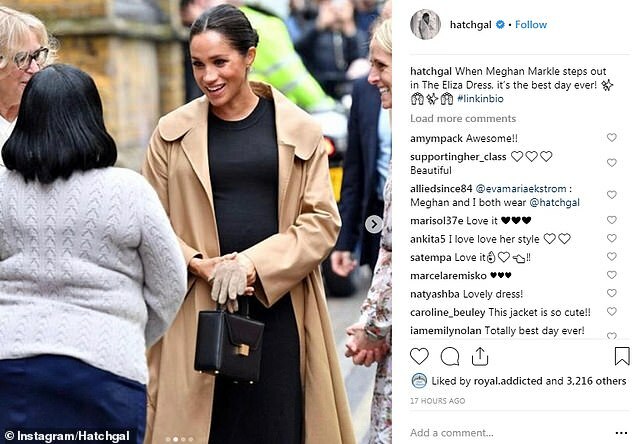 Pregnant Meghan, 37, donned a $218 (£170) knit dress by US brand Hatch as she attended her first official engagement of the year in London yesterday. The company, founded by former Wall Street worker Ariane Goldman, already counts Jessica Alba, Natalie Portman and model Lily Aldrige among its fans, but it is clear the Duchess’ support is particularly special. 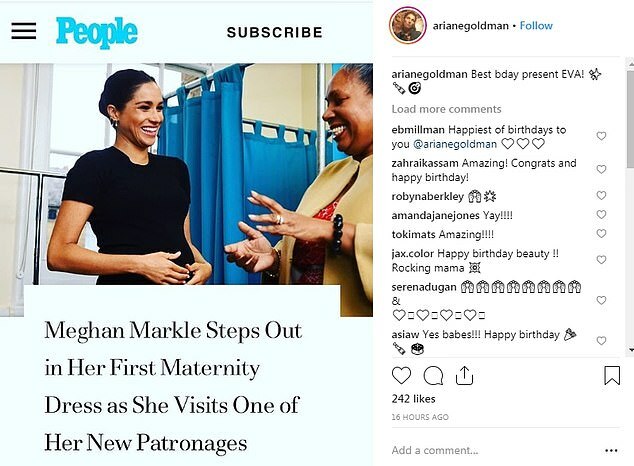 ‘When Meghan Markle steps out in The Eliza Dress, it’s the best day ever!,’ the label posted on Instagram, moments after the royal’s outing on Thursday. It was shared alongside four separate images of Meghan in the pared back garment. The mother-to-be, who is expecting her first child with Prince Harry this spring, paired the dress with a £2,600 coat from Oscar de la Renta and £1,600 Victoria Beckham handbag as she paid a visit to the headquarters of Smart Works, a women’s charity of which she was announced as patron today. It marks just the second time Meghan has worn a maternity-specific label during her pregnancy, following an outing in an ASOS Maternity dress in Australia in October last year. 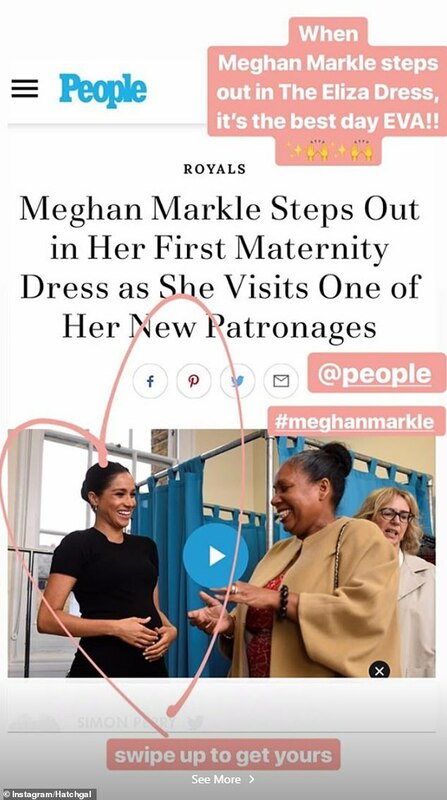 Now it appears Meghan is following the lead of other high profile mothers and mothers-to-be by choosing Hatch to dress her baby bump. The brand offers women clothing to wear before, during and after pregnancy with founder Ariane – a mother-of-two herself – aiming to make getting dressed feel ‘simple and fun’. Victoria Secret Angel Lily Aldridge, 33, who is expecting her second child, is so impressed with the designs that she double-ordered every version of the label’s overalls. 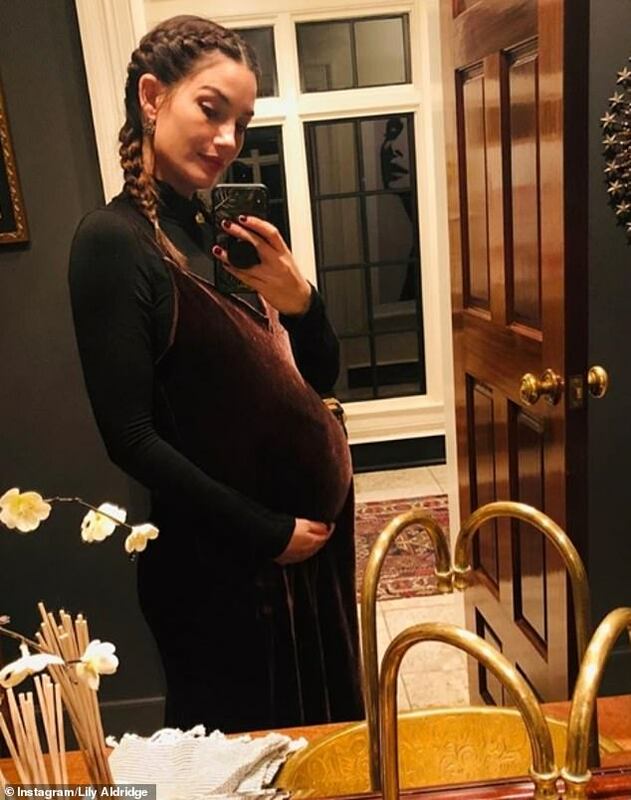 New mother Kate Hudson, who welcomed daughter Rani in October last year, is among the A-listers who swear by the Hatch Mama Belly Mask – worn on a baby bump – while Khloe Kardashian featured the Hatch Mama Baby Oil on her Instagram. However Ariane appeared to be holding out hope that she might one day see the Duchess of Sussex in her designs. 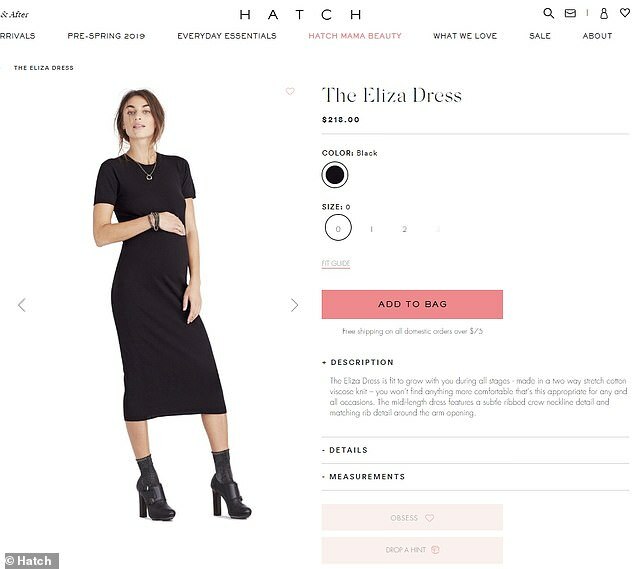 Hatch opened its first brick-and-mortar store in New York in 2017 and a second branch in Santa Monica, California, last year.